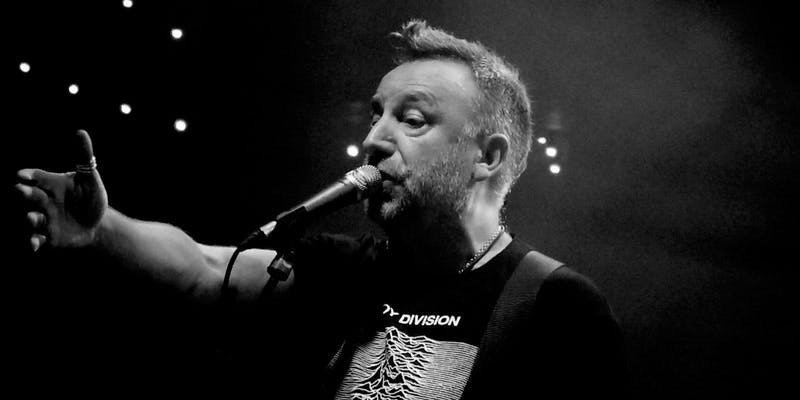 Bassist Peter Hook helped found two of the biggest bands in the post-punk world: Joy Division and New Order. In fact, one could argue that these groups created the genre in the late 1970s. Hailing from Manchester, UK, Joy Division came into existence with a sound and image that was daunting but thought-provoking. They gave birth to modern dance music using new recording techniques from producer Martin Hannett and created a signature sound which, partnered with their industrial hometown landscape, was minimal, subtle and darkly atmospheric. After the death of their lead singer Ian Curtis in 1980, the remaining members formed New Order and led the 1980s to the dance floor. With popular hits like “Blue Monday,” “Bizarre Love Triangle,” and “Temptation,” the band combined elements of indie, electronic and dance music and forged a legacy that not even the death of a founding member could stop. As time passed though, internal problems and side projects came into the picture which gave Hook the cue to exit. After leaving from New Order in 2007, Hook decided to tour under his own name and play the entirety of New Order and Joy Division albums to devoted fans. Hook received criticism from fans and his ex-bandmates for pursuing this. However, Peter Hook took control of both bands’ catalogs, and one thing is certain: nobody can match his catchy bass lines. Songs such as “Disorder,” “She’s Lost Control,” and “Love Will Tear Us Apart” are what inspired the bass players from bands like The Killers and U2 decide to start playing. Undeniably, he is a master of his craft and he still holds his past work to be relevant–with or without his bandmates. Come see him at Ace of Spades on May 21, at 7 pm to witness alternative music history by listening to the songs you grew up dancing to in your room. Tickets are $25. Get more information here. Tags: Ace of Spades, Bizarre Love Triangle, Blue Monday, Disorder, Jake Monka, joy Division, Love Will Tear Us Apart, Manchester, Music, New Order, Peter Hook, She’s Lost Control, show, Temptation, The Killers, TUBE. Magazine, U2. Bookmark the permalink.